At Dr. Hanna, it is our mission to teach our students to CHOOSE KIND, each and every day. Today is World Kindness Day. What will you do choose kind? Read more about World Kindness Day! In lieu of Remembrance Day, there will be NO SCHOOL for students and staff on Monday, November 12th, 2018. Please take time to remember. Please ensure that your child is dressed appropriately for the weather. 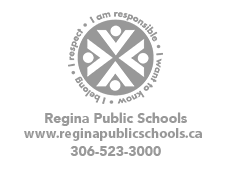 Students are outside for recess unless the temperature is -25 degrees Celsius (or colder). Toques, mitts, boots, ski pants and a warm jacket will keep your child warm for the time they are outside. PSSTWorld - Promoting Safer Schools Together. introducing PSSTWorld - Promoting Safer Schools Together. Read more about PSSTWorld - Promoting Safer Schools Together. Wishing all of our students a safe and happy Halloween!